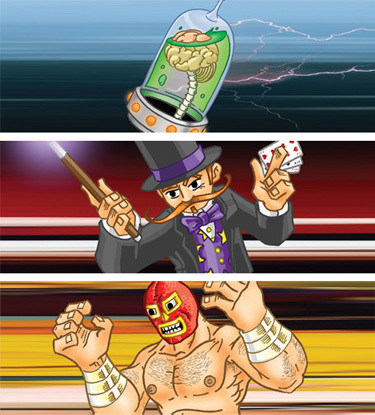 DESCRIPTION: Illustrations for the Evil Brain in a Jar, Magician and Wrestler units for a board game I am developing, Move! Fight! Move!